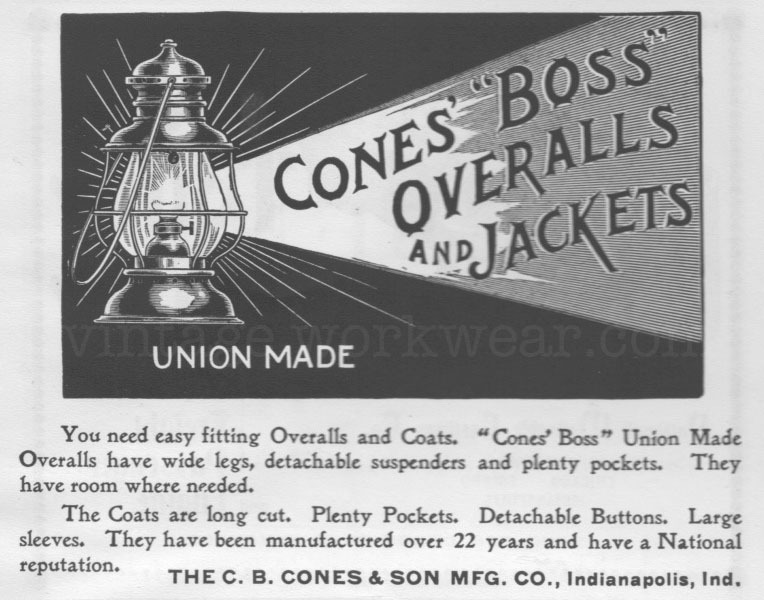 1901 print ad for Cones' "BOSS" OVERALLS and JACKETS. UNION MADE by The C.B. 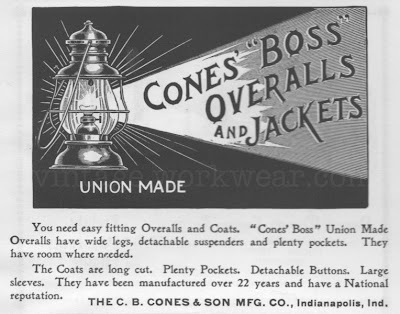 Cones & Son Mfg. Co., Indianapolis, Indiana. Manufactured since 1879 according to the ad copy and publication date. When it becomes much colder, we need to wear more clothes, and moncler jackets is a good choise,we have many beautiful clothes,you can come and visit,we hope to help you! SWEET-ORR & CO. UNION MADE "Ace of Spades"